Why are my clothes sticking together or to me and is there a natural way to make them stop? So what’s a natural-living farmgirl to do? Static electricity can also be produced by rubbing two things together, like rubbing a balloon on your shirt to make it stick. But it’s not really the rubbing that generates the static electricity, it’s that we’re bringing two different materials together over and over, like in a clothes dryer. According to Reference.com, “Different fabrics exchange electrons as they rub against each other in the dryer. Some clothes become positively charged and others become negatively charged. These opposite static charges cause the clothes to stick together and produce crackling sparks when pulled apart.” Static electricity does do more than just stick our clothes together. Printers and copiers use it to build up ink on their drums, for one. But why do our clothes seem to stick together more in colder weather and what can we do to un-stick them? 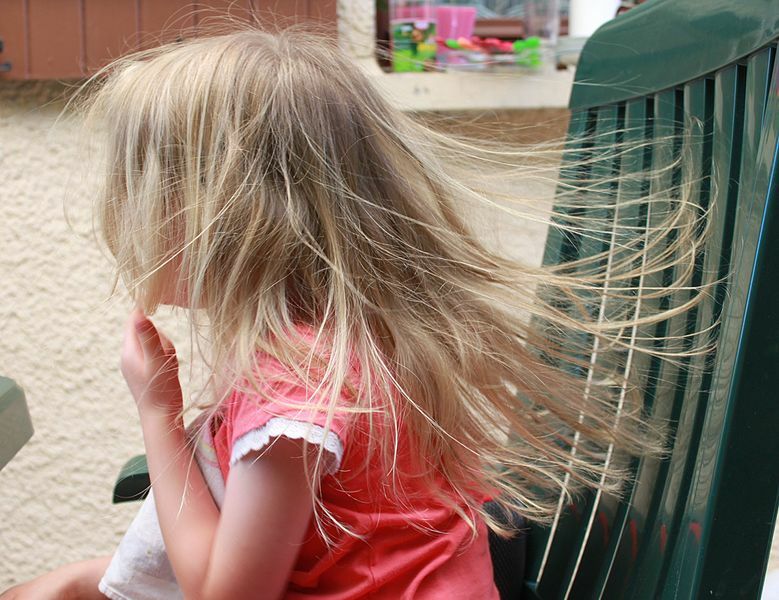 So, now we know why we get static cling. But how do we deal with it naturally? Here are a few tricks to try. Clothing made of natural fibers retain moisture more easily and don’t usually fall prey to static cling. Try drying natural fibers on their own without adding synthetic items to avoid static cling. And don’t over-dry. Air-dry synthetics if you can. Use a humidifier indoors to keep your air moist. Or hang your outfit in the bathroom while you shower, or even lightly spray it with water. 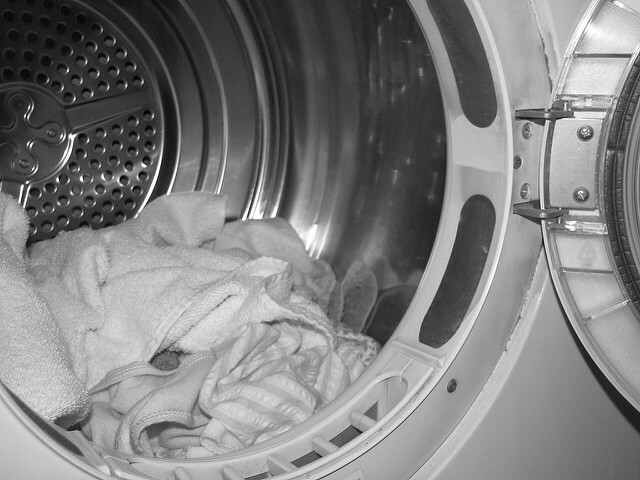 Try adding 1/4 cup of baking soda in the washer to help avoid static buildup. (It creates a kind of barrier around the clothes.) Or add 1/4 cup white vinegar to the rinse as a natural softener, which also helps static cling. Add a small ball of tinfoil in the washer (never the dryer) to attract electricity away from fabrics. Try natural dryer balls to replace dryer sheets. They help keep fabrics from rubbing up against each other in the dryer. Moisturize your skin so that static doesn’t build up on your body. Also try moisturizing your hands before you remove garments from the dryer. Run your garment through a metal hanger to discharge the electricity. Or try wearing a metal safety pin on an inside seam. Now, here’s a real farmgirl fix: Grab some grounded metal (like your metal fence—electricity turned off if it’s an electric fence) to transfer the static. Do you have a method you use that I didn’t think of?